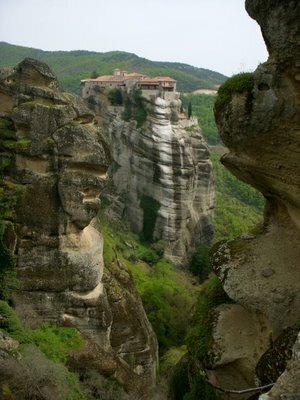 The pictures on the post are of Meteora in Greece. I arrived in Sofia yesterday by train, the trip was about six hours, but very comfortable. Couch-surfing is excellent, again. Last night we went to dinner with a few of his friends, and I got a good view of the town of Sofia. Certainly, the first impression is the feel of a former Soviet country. Boris, my couch-surfing host is 35 and remembers life under the iron curtain. There has been change, but nothing dramatically. Western Imperialism slowly creeping into Bulgaria, although it is a dilatory process. Thus, the traditional flavors of the Ottoman influence are abiding. The energy of Sofia is relaxed compared to Athens, but I do like the city of Athens. I am happy to be out of Greece, not only because of the expense of the Euro, but Central and Northern Greece is a far cry from Crete, Messinia, and the Mani. I experience the people in Central Greece to be quite unfriendly, uptight, and less interested in the traveler. 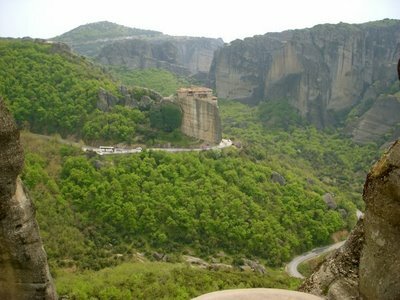 I am very satisfied the areas I chose to visit in Greece. Visiting Crete and touring Peloponnese are well worth it. Contemplating only two months in Greece, I feel that it was the best choice considering that Greece is very a diverse region. The sad aspect to Greece is the onslaught of the Western Imperialism and the detrimental effect of the Euro. One hundred percent of people said that the Euro and the EU are negative for the common people and are snuffing out the traditional culture. Only the international bankers and politicians are benefiting from the consolidation of Europe. Unfortunately, there are some negative aspects to the culture of the Greeks, although it really matters what region is spoke of, I did find the culture to be quite charming within many aspects. The main highlight of Greece is the two different situations I couch-suffered, both Greek gals are very pleasant, warm, and welcoming individuals. In addition, the Mani Coast of Peloponnese is special, it is the third eminent area of energy and landscape. The first is the White Desert in Egypt, and then Cappadocia in Turkey. 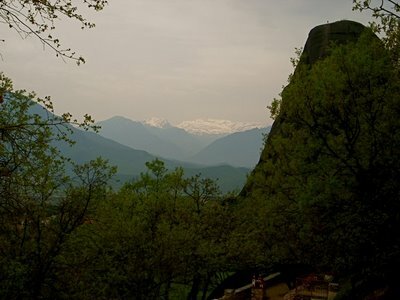 I will be couch-sufing in Sofia until Wednesday, and then heading to the Central Balkan National park to house-sit for a month. 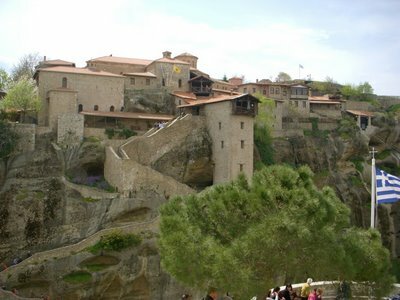 This weekend Boris and I will be taking a day trip to Plovdiv to visit his brother, at least I think that is name of the town. I will be taking a break from blogging once I am at the house. I will not have Internet access at the house, which is OK, I will be heading into the main town once a week for food and Internet. Next post: House-Sitting in Bulgaria. Previous post: The Temple of Apollo—Delphi.